The Global Investing Group organizes a diverse range of programs to keep members abreast of key trends in global investment markets. Join the CFANY GLOBAL INVESTING THOUGHT LEADERSHIP GROUP on LinkedIn. NOTE: Group discussion forums are for the sole purpose of facilitating communication among members. Please do not use them to promote your own products, services, or business including publications, websites, and blogs. The views expressed by the members of the LinkedIn Groups do not necessarily represent or reflect the views of CFANY. 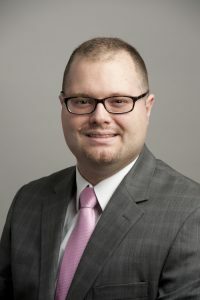 Thomas Brigandi is an associate lead analyst in the Global Project and Infrastructure Finance Group at a Credit Rating Agency, where he serves as a lead analyst for 34 power, toll-road, airport, port, and project finance credits. Brigandi also serves on a Credit Rating Agency’s public pension steering committee, ESG Americas working group and veteran recruiting sub-committee. Brigandi previously worked at the ~$180bn NYC Pension Fund, where he focused on energy and natural resources and reported directly to the chief investment officer. 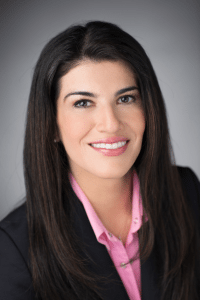 Brigandi is a Board Director of the +11,000 investment professional member CFA Society New York (CFANY), the largest CFA Institute Society globally. Brigandi, the CFA Institute Inaugural Global Outstanding Young Leader and CFANY’s 2016 Benjamin Graham Distinguished Service Award, 2017 and 2015 Volunteer of the Year and 2013 Young Investment Professional Award recipient, has organized 63 CFA Society conferences that were attended by +11,700 investment professionals, in addition to over 400 asset owner, investment consultant and buy-side investment professionals speakers who collectively and directly oversee or advise on +$50 trillion. Brigandi, the founder of CFANY’s Asset Owner Series, Emerging and Frontier Market Series, Investment Employment Outlook and Professional Development Series, “Putting Beneficiaries First” initiative and Annual Global Infrastructure Conference, leads a team of +430 investment professional CFA Society volunteers globally. While serving as the Director of Global Volunteers of the American Foundation for African Children’s Education, Brigandi organized the NASDAQ Closing Bell Ceremony on September 23, 2011, hosted for the President of Sierra Leone. 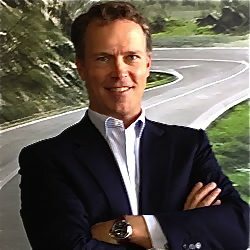 Brigandi has cultivated personal relationships with thousands of asset owner, investment consultant and buy-side investment professionals who collectively and directly oversee or advise on +$65 trillion, in addition to thousands of sell-side investment professionals, government officials and corporate executives globally. Brigandi maintains over 11,900 connections ‎on LinkedIn and holds a Bachelor of Science in Finance, Accounting and Economics from the Macaulay Honors College at the City University of New York, from where he received the college’s inaugural Alumni Pioneer Award. David Allen, CFA, is an Institutional Director at Schroders, where he is responsible for sales and relationships with the firm’s largest clients and prospects. He works across all product lines and asset classes to export the firm’s intellectual capital to large plan sponsors, including public funds, corporate clients, and endowments & foundations. David served clients in a similar role at AllianceBernstein, and was also a Principal at Bernstein, serving SFOs, MFOs, and other wealth management clients. Prior experience includes fixed income consulting for Bank-Owned Life Insurance clients, foreign exchange trading throughout the 1990s, and entrepreneurial pursuits. David is a CFA Charterholder, a member of CFANY, and Chair of its Global Investment Committee. He holds a B.A. in Economics from the University of Pennsylvania. Karina Bubeck, CFA, is a managing director at TIAA Investments, an affiliate of Nuveen. As a member of the firm’s emerging markets fixed income research team, Ms. Bubeck’s primary focus is on South American corporate issuers across various sectors, including financials, pulp and paper, telecom and media, oil and gas, and utilities. She previously covered Mexico, Central America and Caribbean sovereigns and corporates in addition to EMEA corporates and formerly served as a credit analyst on the domestic private placement team. Ms. Bubeck joined TIAA in 2003 and has over 16 years of industry experience.